March 7, 2017 /0 Comments/in Press Releases /by XFIT Brands, Inc.
LAKE FOREST, CA / ACCESSWIRE / March 6, 2017 / XFit Brands, Inc. ($XFTB), a global supplier of fitness, MMA equipment and Sports Surfaces sold worldwide whose brands include Throwdown, Transformations, EnviroTurf and GlideBoxx, today announced that it has executed a licensing agreement for $2,000,000 in sales in Brazil over the next 2 years. 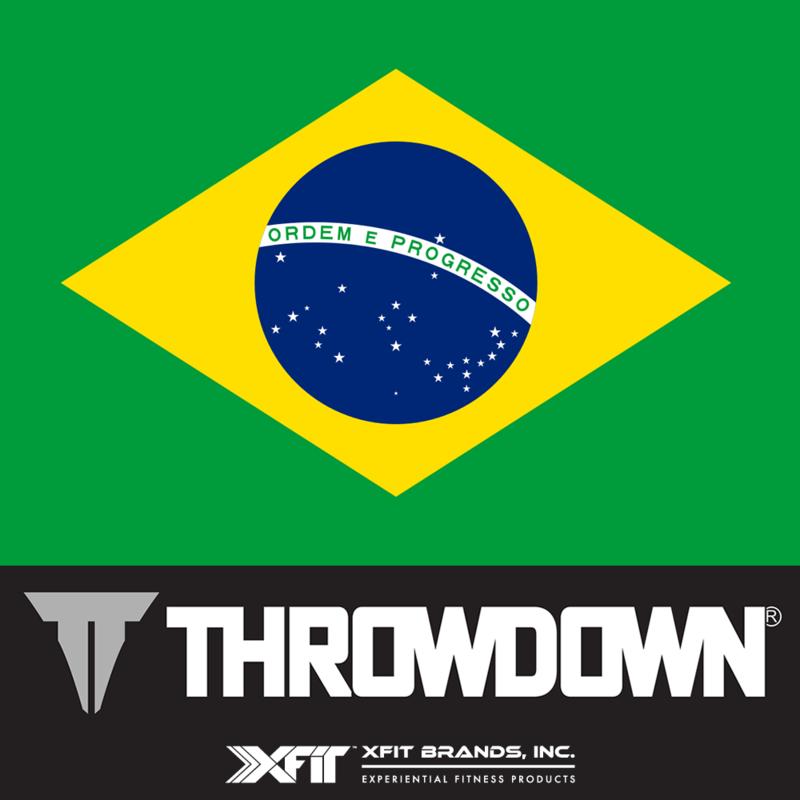 XFit Brands is excited to announce the licensing agreement for Throwdown®, one of its internally recognized brands. Throwdown® entered into an agreement with MELLGINE REPRESENTACOES LTDA, a Brazilian Corporation. The licensing agreement guarantees no less than one million US dollars in sales and a 10% minimum payment to XFIT Brands, Inc. per year. The agreement encompasses mixed martial arts (MMA) gloves, punching bags, exercise equipment and Throwdown® branded apparel. Mixed Martial Arts is second only to soccer in Brazil and the demand for quality merchandise has continued to be strong in Brazil. MELLGIN REPRESENTACOES, LTDA, a Brazilian Corporation (MELLGIN) brings with it strong retail and ecommerce distribution in Brazil and other regions of South America. Xfit also recently completed the refinancing with PIMCO and the acquisition of GlideBoxx and EnviroTurf, and has been rapidly growing its business around the world. The Company has grown its revenues at a double-digit rate for the past 3 years. The new additions also facilitate penetration of multiple new potential outlets across colleges and other campuses, where EnviroTurf Sports Surfaces are currently placed and have longstanding relationships. Mellgine Representacoes, Ltda intends on launching life style apparel, accessories, training equipment, protective equipment weight training gear and agility training gear and the channels of distribution for this license agreement include Mass Market, Sporting Goods, Specialty Stores, Department Stores, Direct to consumer. Mellgin Representacoes Ltda. Is a privately held company active in the area of agents and dealers of commodity contracts, founded in 1994. For over 20 years Mellgin has manufactured and distributed quality licensed apparel and products in retail distribution in Brazil and other regions of South America.